This study represents the first study using Vietnamese data that is based on the World Health Organization’s quality of life instrument—the older adults module (WHOQOL-OLD). With the instrument, the study measures quality of life of a sample of 442 older adults living in Ho Chi Minh City, Vietnam, in 2015. It evaluates the instrument’s psychometric properties and identifies determinants of quality of life. 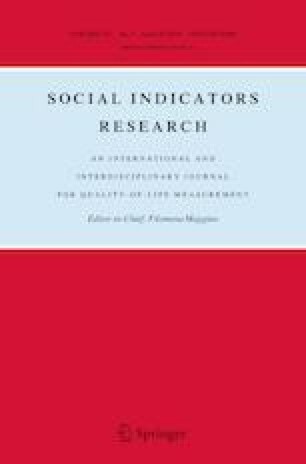 The results suggest that the level of quality of life of older adults in Ho Chi Minh City was quite high, with the total transformed score (scaled between 0 and 100) of 76.62 ± 10.16. The Vietnamese version of the WHOQOL-OLD module shows internal consistency with a high overall Cronbach’s Alpha coefficient and high corrected item-total correlations, construct validity with a reasonable goodness of fit based on a six-factor Confirmatory Factor Analysis model, and content validity with statistically significant facet–facet and item-facet correlation coefficients. Using Ordinary Least Squares and Tobit models, quality of life of older adults in Ho Chi Minh City is found to be associated negatively with age, education, and the number of difficulties with activities of daily living, and associated positively with perceived income adequacy (i.e., whether an older person considered his/her income to be sufficient). The analyses suggest that interventions related to improvements of functional health and standard of living could enhance quality of life in old age in Ho Chi Minh City, Vietnam. The authors would like to thank the staff at the Department of Health—Ho Chi Minh City and the teaching staff at the Department of Pharmacy Administration, Faculty of Pharmacy, University of Medicine and Pharmacy at Ho Chi Minh City, for their assistance in the data collection process. The authors would also like to thank Dr. Manika Wisessathorn, Dr. Benjamas Suksatit, and the four anonymous reviewers for their helpful suggestions. The research protocol used in this study was approved by the Science and Ethics Council in Biomedical Research at the Department of Health—Ho Chi Minh City, Vietnam, on April 20, 2015. World Bank. (2018). Country and lending groups: country classification. World Bank. https://datahelpdesk.worldbank.org/knowledgebase/articles/906519-world-bank-country-and-lending-groups. Accessed 25 March 2018.